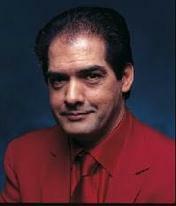 Philip Kerr was born in Edinburgh and read Law and Philosophy at Birmingham University. Following university, Kerr worked as a copywriter at a number of advertising agencies, including Saatchi & Saatchi. Here he started working on his first novel about a Berlin-based policeman. His first Bernie Gunther novel, March Violets, was published in 1989. After leaving advertising, Kerr worked for the London Evening Standard and produced two more novels featuring Bernie Gunther: The Pale Criminal (1990) andA German Requiem(1991). The trilogy was published as an omnibus edition, Berlin Noir, in 1992. Philip Kerr was married to writer and broadcaster Jane Thynne. The couple lived with their three children in Wimbledon. Kerr died in March 2018.